We have reviewed a selection of toys which have been sent to us, as well as recommending some that have been a particular success at home. These will help you and your children to have fun together while they are learning. For just £25, this box contains an amazing £100 worth of toys, with individual items valued from 99p to £14.99. Poundtoy promise "that each item included in a Surprise Box is completely unique with no duplicates, every item is in perfect condition and brand new in original packaging. We have sold 100’s of these boxes in the last few years so are very confident you will be more than happy with your surprise items." There are so many ways these boxes can be used: perfect for parents, fund raisers, clubs, online sellers, school fates, party gifts... the list is almost endless. A wide variety of toys, stationery, craft items, novelty gifts & accessories are included. In all, we had 20 toys. Too many to list, but some of the outstanding items include Girl Time Cafe Retreat Building Blocks (compatible with other sets), a Crystal Growing Kit (a great educational toy, also included in the boys' box), Num Noms Doodle Buddy - a soft toy to colour with the enclosed scented pens, Magic Colouring, a sticker set, Hello Kitty bands and much, much more.. An excellent feature that Pound toy offer is: "If you are purchasing for an individual, please add the child's age & gender in the notes at the checkout & we will do our best to make the items as suitable as possible). "; given the fabulous range and value, this is an amazing offer for them to make, although not one we tried. This box is a wonderful treat for girls - just imagine their joy when faced with a whole boxful of toys! It's unbelievable value too. "PoundToy™‎ is one of the UK's favourite websites where you can purchase high quality, branded character cheap toys & games for children of all ages at prices that cannot be beaten! Founded in 2014, PoundToy™‎ is a family operated business. Our mission is to deliver safe, affordable and quality products which are responsibly sourced from the UK and complement childhood through fun, learning and exploration. Our online pound shop has an amazing and extensive range of games & toys for a pound. Whether you are looking for a toy for your child, a present for a birthday or Christmas, novelty gifts or party bag fillers, you can find it at PoundToy." Take a look at all the offers on their website. Absolutely incredible value, this box included many branded items with a wide range of toys suitable for children from 3 to around 10. There is a wide age range covered in the box, so I do recommend that you check the age suitability carefully before giving to children. Each item included in a Surprise Box is completely unique with no duplicates, every item is in perfect condition and brand new in original packaging. The contents include games, toys, crafts and a couple of small packs of sweets - a great variety. Poundtoy tell us they have sold 100s of these boxes in the last few years and are very confident you will be more than happy with your surprise items. We didn't know what to expect but were very pleasantly surprised by the variety, quality and value. I was particularly impressed by the number of well-known brands included, Crayola, Mattel. Many items are from popular culture such as Nickelodeon and Disney characters. Again, there were over 20 toys in the box, with a whole range of options for children to enjoy. A big Minions floor puzzle, a Finding Dory bath toy, Crayola markers, Paw Patrol sticker album, to name but a few. Boys will be really impressed with the popular characters, and this box offers wonderful value, with lots of top quality toys. Children love pretend play and this makes a great change from the more common doctor sets - and opens up opportunities to use with children's collections of soft toys. An excellent feature is that the set comes complete with its own dog and cat, which are lovely - soft and cuddly and well-sized, making the ideal complement to the set. The vet's accessories include stethoscope, a twistable thermometer, syringe with working plunger, ear scope, tweezers, clamp, cast, bandages, a neck cone, pretend treatments and ointments, pots and jars with screw-off lids; all the items are a really good size. I love the reusable double-sided checklist for recording patients and checking the bag is properly packed (you could photocopy this to have a supply to encourage writing). There's a tote bag for those home and farm visits too - and this can be used to store all the items, neatly keeping them together. Interestingly, the toy has been acknowledged by toy experts at the Good Housekeeping Institute for how it helps children develop empathy while playing. A lovely toy to encourage pretend play and imagination and with enough pieces to allow two children to play happily together, thus developing communication and sharing skills. Really good value for money and children will love the fact there are so many pieces. The adorable plush animals are the perfect finishing touch, setting this set apart from others. Now bath time can be even more fun with the sensory play value offered by Gelli Baff and Slime Baff. These magical products amaze children as they turns the bath water into a thick colourful goo or slime which are great fun to play with. Try using some plastic or silicone kitchen utensils to give scope for lots of fun. Once bath time is over - and if you can persuade the children to get out of the bath! - simply add some more water to the Slime Baff to dilute it, or add the dissolver powder to turn the Gelli Baff back to water - this is included in the pack - there's a good science lesson here. Slime Baff and Gelli Baff offer 100% safe bath time fun which is non irritant, environmentally safe with no harmful chemicals . They are totally degradable. We received packs in Oozy Red Slime Baff and Swamp Green Gelli Baff - Princess Pink and Goo Blue are also available. You don't need to limit this to bath time use because they work well dissolved in a bowl of water, especially good for outdoor summer play. This gives the opportunity for lots more imaginative play, such as a prehistoric swamp or a farmyard pond, using plastic toys for even more fun play value. A fun product. 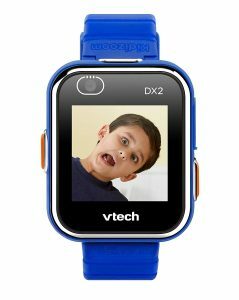 Children love feeling like they have similar gadgets to grown ups and this funky Kidizoom Smart Watch from Vtech does just that. The watch is easy to turn on and the first time you put it on you are immediately greeted with a screen where you can set the time and date. One of the first things we noticed is that the screen is surprisingly responsive for children's tech and the touch screen resolution is great. The menu has big buttons which make it easy for children to navigate and use and flicking through the options is a breeze due to how responsive the watch is.The Kidizoom Smart Watch DX2 isn't just a watch; it has an alarm clock, timer, stopwatch, video recorder, pedometer, there are games to play and it has two cameras! My mini reviewer loved the augmented reality game which uses the camera to help children find and catch monsters, this also encourages children to keep active. You can use the Silly Yourself app to add special effects to your selfies, which you can then use as your clock face. By sliding the screen either up or down with your finger you can turn the sound on and off or it will read you the time out loud. There are dozens of clock faces to choose from that you can either have displayed in digital or analogue and the watch is easy to put on with its large rubber strap and big holes. The watch has a rechargeable battery and comes with a micro USB charger, this can also be used to download photos from the watch to a computer. 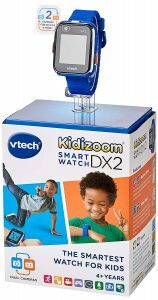 The Kidizoom Smart Watch DX2 is aimed at children from ages 4-12, and comes in blue or pink, instructions are included in the box and it currently retails for £35.99 (Feb 2019). In recent years, scooters have become an increasingly popular means of getting around. They are perfect for the school run, especially in view of the congestion around our schools and consciousness of trying to reduce pollution. The 3Style Scooters® RGS-1 Three Wheel Kick Scooter, is the No.1 selling Kids Scooter on Amazon.co.uk. 3Style Scooters have been selling their RGS-1 (3+), 2 (5+) & 3 (7+) scooters over the last 4 years and now, due to the company’s success, they have completely redesigned their products, packaging, website and instruction guides. We love the fresh clean look of the green scooter we have received and children will really respond well to the stylish new look which will definitely draw admiring glances. It's not just the look, though. The scooter is really well manufactured with plenty of safety and practicality features. One of the prime benefits of scooters is their portability and the RGS-1 folds down quickly and neatly and is easy to transport in folded mode (and fits neatly into the car boot), weighing only 3kg). The handle height is easily adjusted from 52cm to 78cm, meaning the scooter will last your child for a good long time, and it has an easy-stop rear braking system for ease of use; we found the scooter feels really stable when braking. We found the scooter gives a really smooth ride on pavements and also on firm grass surfaces in the park (thanks to the recent dry weather). It's good looks make it stand out and we got plenty of admiring glances! Other eye-catching features include colour coded LED light-up wheels (these really look good in the current dark evenings as well as being a good safety feature), a new branded logo handle stem and branded grips which are comfortable in use and give good grip, as well as some tweaked colour offerings. For novice scooter-riders, the tilt to turn steering system and joystick style mechanism are great for building confidence; the scooter manoeuvres well and remains stable when turning. The instructions are highly visual, easy to follow and full of practical safety advice. Buy from 3Style.co.uk - and take a look at all the super matching accessories to go with it too. A superb scooter that will grow with your child (before they move on to the other offerings from 3Style); we are really impressed with it, both for its safety and easy usability and for its stylish good looks. These are perfect pocket money/party bag gifts and stocking fillers, and with over 80 new SuperZings to collect there's plenty to look forward to! Children love the anticipation of opening the packs - have they got a toy new to their collection? Is it one of the new crystal colours? Or, if they are really lucky, have they got silver and gold figures, and the mysterious Professor K? Each packet contains one SuperZing and a leaflet listing the characters. Superzings are daily objects transformed into Superheroes and Supervillains; they are very detailed and the soft plastic gives them a really nice feel. They look great lined up on a shelf! Each character has a rival, so children can look out for the rival pairs and make up their own Superteams. They are great fun for children to collect and they can be used for all sorts of make-believe and imaginative games; good for swapping too to build up the collection. Buy direct from Superzings. This is an excellent and stimulating toy which is perfect for babies from six months - just when they are starting to explore the world around them and to be ready to investigate. The toy is easy to use for babies lying on their tummies, due to the angled base, and the large keys are easy to press and emit very satisfying sounds that children will love - it plays four songs (which are a good length) plus piano notes and dog barks. As the notes play, so the keys light up and older children can be encouraged to follow these along. The toy is in the shape of an appealing dog, complete with a crinkly ear for an extra sound/feel effect; the keys also have four different textures, encouraging the development of tactile skills. A lovely way to introduce children to music and sounds, developing auditory and sensory skills. This lovely owl from the Skip Hop bath time range is sure to make bath times fun for your little one, just wind up his wings and watch him paddle through the water until he needs winding up again. The owl is really light and it is a good size so it's easy for small hands to grip; the wings are shaped like paddles which means that even when wet they are easy enough for a child to keep hold of when winding it up. The bright colours are really appealing and the Paddle & Go Owl encourages fine motor skills as young children learn how to wind the wings up to keep him going. The owl is of the high quality you would expect from Skip Hop products and it feels really well made and sturdy; the motion of the wings is very smooth and quiet which is unlike a couple of cheap rattly ones that we have! The Paddle & Go Owl is suitable from 12 months and over and is part of the popular owl range in which you can get matching backpacks, plates, cutlery and cup to name just a few products, see the range here. Fuzzy Felt has been a popular toy since it was first launched in 1950 - the appeal has never waned and there have been many different topics introduced, ensuring plenty to appeal to every child. This space set is suitble for children between the ages of 3-6, and it's a great way for them to learn about the wonders of space. With over 100 varied pieces that adhere well to the felt playboard, there's plenty of scope for the imagination. As children move the pieces around, so they can make up stories to reflect what is happening, as aliens explore and man discovers. The options are many - create a starry scene, launch a rocket into space and watch an astronaut walk. At the same time, children will be developing hand-eye coordination, practising counting skills and learning to sort and describe. A simple toy but one that has stood the test of time and still brings lots of pleasure to children. We were thrilled with the super variety of PlusPlus sets we were sent and thoroughly enjoyed trying them out. This is the perfect start for a child's PlusPlus collection. Why the name? The building blocks look like two attached plus signs - it's that simple! The 600 pieces are packed in a lovely blue metal mini-suitcase, with rubber handle and metal clip. Inside, there's a baseplate, 500 basic pieces and 100 lovely bright neon pieces; there's also a guidebook to get children started, but they will soon be creating their own designs. It's excellent to see a different construction toy on the market, and especially one which really encourages children to develop their own creativity, as PlusPlus® does. We were sent a selection from the range, which is impressively large - you can see the whole range if you follow this link to Amazon, The concept is simple - every block is the same shape, and they can be slotted together to create 3D models or mosaics. The Midi range is suitable for children from 1 - 6; the Mini range for 5+; I love the fact there are two sizes. The pieces slot together easily and hold their shape well. The packs come with instruction books which show a range of suggested models - do advise your child to start off with these, before letting them use their own creativity and imagination - the toy really encourages this with its flexibility. There are a range of themed sets as well as mixed boxes of varying styles and cost - always something to choose as a gift! The themes include pirates, aircraft and safari; each box shows the contents so you can organise the collection. There are basic colours, neon and pastel - a great range. Like all construction toys, PlusPlus helps with fine motor skills, imagination, design skills, problem solving and concentration, as well as sorting and counting. The attention to detail continues with the packaging - the tubes are lovely to use and will, hopefully, encourage children to tidy up! "Plus-Plus is a privately owned Danish company established as an independent company in 2009. Plus-Plus building bricks allow kids of all ages to create mosaics and 3D designs. Even curves are possible thanks to the unique design of this simple shape! Plus-Plus develops the imagination and creativity of children and appeals equally to boys and girls. Once Plus-Plus has been tried out it becomes a kid´s favourite. Durable fun lasting a childhood – that is the essence of Plus-Plus. An unusual and excellent construction toy which, as a result of its unique design, doesn't limit children's creativity - find out more on the PlusPlus website. The Plus-Plus Pastel Mix Tube Construction Blocks is a tube which contains 15 large-size (50mm) simple shapes, perfect for first construction efforts and recommended for children of 1+ (but under supervision, of course), in delicate pastel colours. The Plus-Plus Midi Robots Building Set is great fun as children can create their very own robots in a range of bright colours - there are 50 shapes across seven colours. Plus-Plus Tiger Tube Building Set has 100 pieces for children to create their own fearsome beasts - and to enjoy imaginative play with them after. Our second tube of 20mm pieces is the Plus-Plus Union Jack Tube Building Set - there are 15 different tubes to choose from, so there's something for every child. Plus-Plus Neon Safari Building Set - 480 mini neon pieces to stage a whole zoo/safari scene. Plus-Plus Jewellery Pastel Mix Construction Blocks - this is a very girly one, recommended ages 5-12, with 70 pieces, and will be thoroughly enjoyed for its decorative value. This multi-purpose set comes with 21 attractive hand-painted wooden food pieces and 4 wooden crates, just like traditional vegetable crates. There's a good variety of different food types, including watermelon, corn, milk, cheese, meat, cereal, fish, eggs and more; they all store tidily in the wooden crates. They are divided into milk and dairy, fruits and vegetables, bread and carbohydrates, and meat, fish and protein, giving plenty of opportunity for discussion about the groups and a balanced diet The set encourages and develops counting, sorting and pretend play skills, as well as an interest in food and nutrition. The set can be used very practically to encourage children to plan a nutritionally balanced meal; perhaps you could select the play foods together, compile a shopping list then go to the supermarket, knowing just what you are looking for. The wooden pieces are well made and attractively painted, and the wooden crates are charming. It's a good idea to have the four separate ones, as these give plenty of opportunity to sort into food types, leading on to discussion and learning about healthy food and a balanced diet. The set will make a lovely addition to play kitchens, and encourages imaginative play as well as learning. Young children can start to learn the names of food by using the set, and also practise sorting skills, identification and colours. A beautifully made set with a high educational value. Toddlers love to be like their older siblings - and parents, even - and now they can have their very own interactive tablet, and start to learn the skills they will need as they get older. Mr Tumble is, of course, a very popular Cbeebies character so most little ones will recognise him and respond well to the familiarity. The colourful tablet has six activities to encourage learning about colours, numbers, shapes, letters, characters and musical instruments. The picture buttons on the touch-sensitive screen operate easily (but not too easily) and the pictures make it easy for young children; pressing the buttons gives fun sounds and facts. The pad has softly rounded corners and a rubber edging which make it both safe and comfortable. Parents will be glad to know there is a volume control! A fun early learning toy. 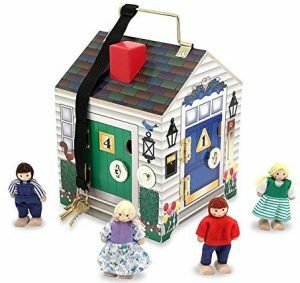 This gorgeous wooden house comes with 4 pose-able dolls and a set of 4 different keys. On each side of the house there is a beautifully decorated numbered door with a lock and a door bell. Each key only fits one lock so you have to work out which key fits the lock and have fun playing with dolls by putting them inside the house and locking the door again.Each side has a different coloured door and a slightly different doorbell, you can encourage educational play by asking your child to open the blue door, or to find the doll behind door number 3. The house is really strong and sturdy, it has a carry handle on top so it can be easily moved around and the 4 keys are securely attached to the house so they don't get lost. Once you have finished playing, the dolls can be kept inside the house so you don't have to store any extra parts.The Take-Along Wooden Doorbell Dollhouse encourages fine motor skills as your child learns how to unlock the doors, there is plenty of chance for imaginative play and story-telling as well as building on colour, shape and number recognition skills. The house is aimed at ages 3+ and retails for £27.99. Anyone who has enjoyed playing with a buzz wire at a school fair or summer fete will love to have their very own version! There's a difference with this though - the objective is to ensure you don't make T rex roar. Can you keep a steady hand in this exciting buzz wire challenge? It's a great way to practise that hand-eye co-ordination, as well as concentration, as you guide the metal handle around the wire without touching it. It's good to see that there are two interchangeable T rex shapes, giving two skill levels so you can refine your skills; you start training with the simpler head shape then progress to the more intricate full body. It's easy to swap from one to the other. A novel take on an old favourite. These high-quality glow-in-the-dark stars and glow dinosaurs will bring a Jurassic adventure into your child's room, as they use their imagination to design prehistoric pictures on ceilings and walls which glow at night. With 35 plastic stars, your child's bedroom will really light up at night and they can space out the eight colourful card dinosaurs among the stars. The dinosaurs have detailed colouring and glow-in-the-dark edges; they are all named on the back of the packaging, so make sure you keep this. The pieces come with self-adhesive pads which easily stick to most surfaces and they only need a few minutes of light exposure to glow effectively. The effect is really attractive, especially when grouped quite closely together, as you can see in the picture below. This fascinating set, which perfectly supports KS2 science (it's recommended for 6+), has everything a child needs (except batteries) to set up their very own solar system in their bedroom. The remote-controlled, motorised, 85cm diameter solar system mobile includes eight detailed colour planets which rotate on three independent orbits around the sun. No mains electricity is required, and it's easy to fix the solar system onto the ceiling as all the required fixings are included; as it is battery operated there is no need to worry about connecting to the mains. It does need drilling into the ceiling, but we found that, with a little ingenuity (and a wire coat hanger) that there are viable options. At night, your child can have the fun of lying in bed and using the remote control to operate the light up sun and rotate the planets. The light in the sun isn't very bright, making it best viewed in the dark, and ideal for use as a nightlight. During daytime, the solar system is an attractive addition to the room, and as children have so many toys, it's great that this one doesn't take up any wall/shelf space. STEM subjects are high priority at the moment, and this educational toy, which includes a secret code to unlock fascinating online space facts, fits the bill perfectly. "Brainstorm Toys is a range of fun, educational and interactive STEM toys that brings together a host of fascinating items. STEM toys incorporate science, technology, engineering and maths and encourage children to explore and develop a passion for these subjects. The aim of Brainstorm Toys branded products is to entertain children but also to inspire them to learn more about their environment." Many of our garden birds are in decline, but we can help by feeding them - and it's important that we do so. Children's interest will be stimulated by this feeder, which allows them a close-up view. The feeder, which is endorsed by naturalist Nick Baker, is well designed, compact (it's designed for small birds) and durable; it's easy to clean and that's important for the health of visiting birds. It's quick and easy to assemble. The kit includes two well-sized suckers for window mounting and also two bosses for attaching to a wall or fence The large portal with one-way mirror allows children to observe birds without disturbing them. Full instructions and a garden bird guide, with 14 commonly seen species pictured and described, are also included in the kit. This is one in the excellent My Living World range, designed for children by nature experts. An attractive feeder for all the family to enjoy, and a good way to attract birds to your garden. This is a toy that really stimulates the imagination and goes well beyond being just a construction kit. With 223 pieces in all, there's plenty to keep your young one happily occupied for plenty of time - and it's a toy they will return to over and over again. There are 172 interlocking beech wood logs, 27 colourful wooden farm life essential accessories and livestock plus 24 pieces of farm ground plan (87x65cm) jigsaw puzzle - I love this element of the toy, which gives an added dimension, and a good starting point. The pieces are well made and seem very durable; like all wooden toys, this won't date and can be passed down from one child to another - or even one generation to another. It's really high quality and the painting is very good. With so many pieces, children's imaginations have plenty of scope to draw and design their very own farm. There are clear instructions to start children off, perfect for younger ones. They may like to incorporate existing farm animal sets too. As well as the logs, the set includes livestock, trees, flowers, vehicles and people. Younger children will probably need some help (recommended age is 3+), but older ones will play happily on their own, making this a product with longevity. The wood logs have interlocking grooves, and they can be reused as many times as your child wants to recreate their farm, whether it's one big farmhouse or a range of farm buildings. The flexibility makes this a superb way to encourage imaginative play; manual dexterity is enhanced by the kit and there's enough here for siblings or friends to work together, encouraging discussion as they plan their farm. An impressive set, unusual and with lasting play and educational value. The finished creation gives children a real sense of achievement and, unlike many construction kits, there's plenty of play value once a model is created. An exceptional toy. All wooden toys by Toys of Wood Oxford are tested by the seller's own or friends' children. This set is safe and environmentally friendly, being made of sustainable wood with environmentally friendly non-toxic paints; these are things we should all be looking out for when purchasing toys. It conforms to EN71 and CPSA Standard and tested and certified by International Accredited Labs.